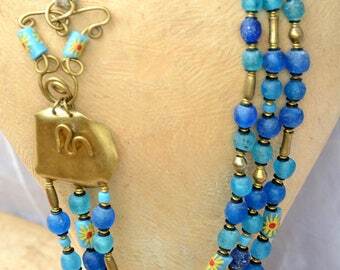 This catchy blue beaded necklace is one of kind. 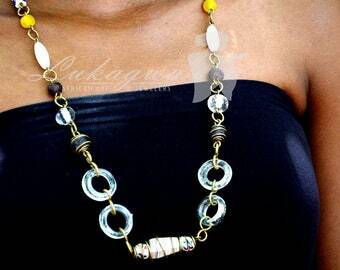 We played with a variety of glass beads to add sheer glamour to the necklace. 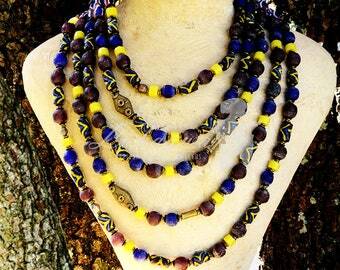 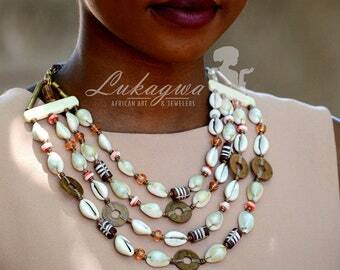 This layered African necklace is the type of accessory that you can comfortably wear to the office and on weekends. 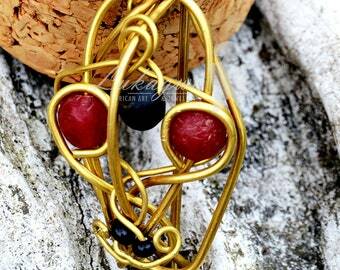 We put it together to suit all seasons of the year be it summer or winter.We have used antique Segi beads,Sorobera Brass beads and vintage Brass. 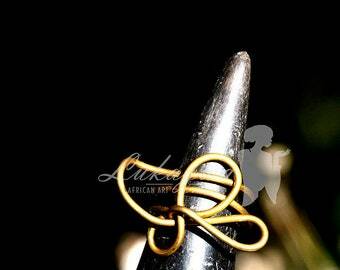 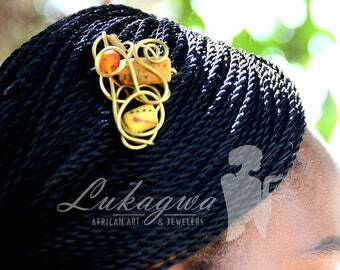 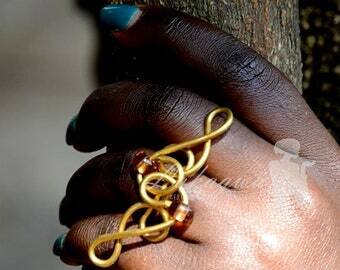 This sophisticated piece of African jewelry is for the vivacious lady. 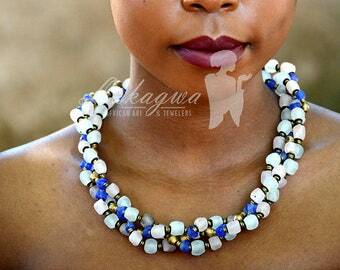 The holiday season is coming spoil yourself, only one in stock. 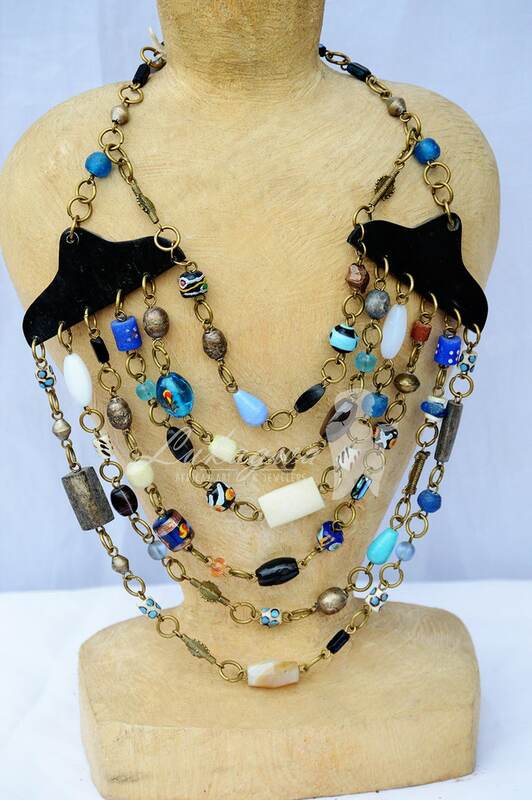 This layered necklace is 12.5 inches long from the clasp to the last strand.The distance from the first strand to the fourth strand is 3.5 inches.The clasp has an extra links to allow for adjustment.